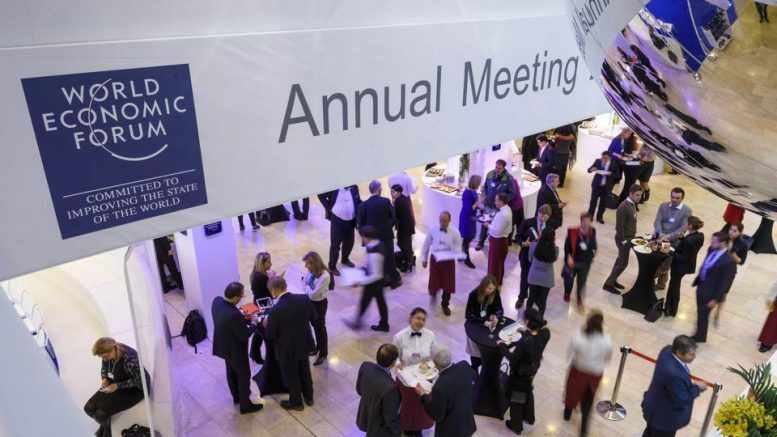 The annual meeting of the World Economic Forum in Davos is attended by thousands of high-powered delegates from the worlds of politics, business and even entertainment. It is a gathering epitomizing and promoting the global elite that President Donald Trump has railed against throughout his presidency so far. So it took the world by surprise when Trump announced he would be attending the summit this year. The message for the 2018 forum is “Creating a Shared Future in a Fractured World” and strong calls for global cooperation are likely to be focused on issues such as climate change and global instability. A record 70 heads of state or government are said to be participating in Davos 2018, with the higher attendance possibly sparked by curiosity over what message Trump will bring to the conference, giving the closing speech on the 26th. Indian Prime Minister Narendra Modi is giving the opening address on Tuesday, and France’s Emmanuel Macron will also deliver a speech on the same day. Britain’s Theresa May, Canada’s Justin Trudeau and Israel’s Benjamin Netanyahu will also attend. Celebrities Cate Blanchett and Elton John are to receive awards in the Davos Arts and Culture award ceremony. Last year President Xi Jinping dominated at Davos – it was the first attendance of any Chinese president at the forum in its 48-year history. He delivered a strong message for global unity and cooperation over protectionism, seemingly aimed at the U.S. president-elect who had been threatening to slap heavy tariffs on Chinese goods. Xi will not be attending this year, perhaps averting what could have been a clash between the two competing superpowers that together account for about 40 percent of the world economy. Be the first to comment on "At Davos meet Trump expected to be a main attraction"